Although Ubuntu 17.10.1 is available, Ubuntu 16.04.4 is one of the long-term support (LTS) releases which guarantees support for 5 more years – until April 2021. Do you need to upgrade to Ubuntu 16.04? This guide lays out the reasons for and against upgrading to Ubuntu 16.04 to help you to decide when it is right for you. One of the major benefits of upgrading to the latest release is hardware support. Ubuntu Linux 16.04 is running on a much newer version of the Linux kernel and this means that hardware not supported for Ubuntu 14.04 will now more than likely be available. If you have been running Ubuntu 14.04 for some time then it is likely that you have found a workaround to your hardware issues or you just don't need the hardware that isn't compatible. If however you have a new printer or scanner or you just want to fix that thing that has been niggling you for some time then why not create an Ubuntu 16.04 USB drive and try it out in the live version to see if it makes sense to upgrade. Ubuntu 14.04 has been around for a few years now which means there have been a lot of bug fixes and you will have seen your product steadily improve in that time. This means you have a stable product and if you are happy with it is there any real hurry to upgrade? There of course comes a tipping point whereby a legacy system becomes harder to maintain on the older operating system and upgrading will be more beneficial. If you thrive on stability then you have some time yet to worry about this and I recommend waiting for at least 9 months before upgrading. The software that comes with Ubuntu 16.04 will be newer than Ubuntu 14.04 and if you would benefit from enough of the new features from say a package like LibreOffice or GIMP then you may weigh up the pros and cons of upgrading. If you are happy using the older software and it works for you then there really is no hurry to upgrade. Security will always be taken care of by the updates so it isn't like you will be falling behind in that regard. Ubuntu 16.04 obviously has some new features that just aren't available in Ubuntu 14.04. Do you need them? How would you know if you don't know what they are? Fortunately here are the release notes for the latest version of Ubuntu. So what do you have to look forward to by upgrading? First of all, you can move the Unity Launcher to the bottom of the screen. This has been something people have been trying to do for years and now it is finally available. The much maligned Ubuntu Software Centre has also been replaced with GNOME Software. Don't get too excited by this, however. The GNOME software tool is good but the way it has been implemented isn't. Try finding software packages such as Steam. They just aren't there. You have to use apt-get to install them. If you use Brasero or Empathy then you will be disappointed to learn they aren't installed by default but you can install them after the installation and if you are upgrading then it is likely they will still be there. It isn't all bad news by the way. In Ubuntu 16.04 the Dash has been configured to not show online searches by default. I suspect however that if this was a problem for you in Ubuntu 14.04 that you will have found the solution by now. Ubuntu 16.04 has had a number of bug fixes applied and Unity has been improved in a number of areas. Ubuntu 16.04 has introduced the concept of Snap packages which is a new way of installing software in a way that makes itself contained without relying on shared libraries. It is likely that this is going to be the future for Linux and in particular Ubuntu. It is worth considering for the future but not something that will make you upgrade in the short term. 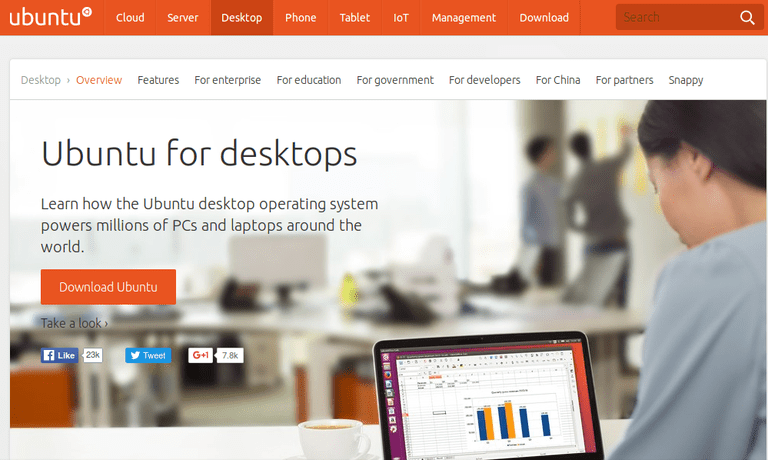 If you aren't yet using Ubuntu then you might wonder whether you should use Ubuntu 14.04 or Ubuntu 16.04. For the reasons mentioned above you might consider using Ubuntu 14.04 for stability or you might prefer to use Ubuntu 16.04 because let's face it, it will improve month on month. The Ubuntu website heavily promotes Ubuntu 16.04 with a big download button but Ubuntu 14.04 is left to a sub-section of a page called alternative releases. If you are using intermediate versions of Ubuntu such as Ubuntu 14.10, Ubuntu 15.04 or Ubuntu 15.10 then you must absolutely upgrade to Ubuntu 16.04 as you will be either out of support or close to being so. If you don't want to upgrade then you should downgrade back to Ubuntu 14.04 although I wouldn't recommend this. If you are using Ubuntu 12.04 then the sections above are every bit as relevant as they are for upgrading for Ubuntu 14.04 to Ubuntu 16.04 but you are probably over the tipping point for moving forward. The version of the Linux kernel will be fairly old and your software packages will be behind as well by quite some distance. If you need the stability then you should at least think about moving to Ubuntu 14.04. If you are using intermediate versions such as Ubuntu 12.10, Ubuntu 13.04 and Ubuntu 13.10 then you should at the very minimum upgrade to Ubuntu 14.04 and maybe perhaps think about Ubuntu 16.04. Finally, if you are using any other version of Ubuntu then you should at the very least upgrade to Ubuntu 14.04. If you were hoping for a definitive "yes you should upgrade" or a "not on your Nelly" type answer then I'm afraid this guide doesn't deliver in that way. Instead, it is designed to help you decide based on your own requirements. Just ask yourself the following question "do I really need to?" or "how would upgrading benefit me?"